It’s been a while since I posted anything related to the language developments of my son, Mr. T. First we had the World Cup when all I wrote about was in some way football related. Then I took a month off to get back some of my motivation for blogging. Fortunately, I am now up for writing again, but it means I have missed out describing some of the language milestones we have passed. A toddler’s language is always changing from day-to-day. But with a toddler who is learning two languages at the same time this changes become even more dynamic. For a long while we were slightly concerned that our son’s language was way behind other kids of the same age. We knew it was probably because he was having to deal with double the vocabulary and grammar at the same time, but there is always that part of the brain than betrays you and says it might be something else. Fortunately, we managed to avoid that treasonous element and it now seems as if Mr. T is fast catching up with his peers. He still isn’t quite as good in his Portuguese as they are, but then again they are nowhere near his levels of English. In March I went to the UK for a few weeks with Mr T and my wife stayed in Brazil. When we got back to Brazil Mr. T’s language had exploded, and obviously it was nearly all in English. SInce then, his Portuguese has steadily improved so that now I would say about 90% of the words and phrases he comes out with are Portuguese. This isn’t to say he has forgotten his English. I only ever speak to him in English and he understands me perfectly, it’s just that he chooses to answer in Portuguese. I am not worried about this in the slightest. I want him to feel happy speaking in whatever language he feels most comfortable. I am not going to force him to speak English and make him feel even worse about using it. Instead, I am just going to continue speaking in English to him until he is ready to use it himself. The occasions when Mr. T does use English it is often in a sentence with other Portuguese words, or as complete chunks of language. Some examples of when he has mixed the languages include: ‘Daddy, swimming pool esta ready agora? (‘Daddy, is the swimming pool ready now?’) and ‘Me like Batman roupa,’ (I like Batman clothes). Some chunks of language that he still uses in English include ‘Let me see,’ ‘I show you,’ ‘Morning now?’ and ‘Rainy day! And for some reason he seems completely unwilling to use the word ‘voçe’, preferring to use ‘you’ instead. This is a strange one. When he speaks Portuguese he has the perfect accent for someone from the interior of the state I live in. He lengthens his vowel sounds and rolls his r’s as if had come straight from a farm growing fruit in the middle of nowhere. This is a mystery to us as none of my wife’s family has this accent and it bares no resemblance to an English accent. He can now write 3 letters! The first letter he ever wrote was the letter ‘T’ as it is the first letter in his name. He can now write the first three letters, and if you squint and use quite a bit of imagination you might even be ale to decipher them. We haven’t been pushing this on him at all, instead he just seems to be genuinely interested in it. We painted a picture for a relatives birthday the other day and I asked him to sign it, when he got the 4th letter he told me he couldn’t do it and just put down the pen. I didn’t encourage him to learn it or give it a try, I just wrote the end of his name so he could see it. How do we learn language? 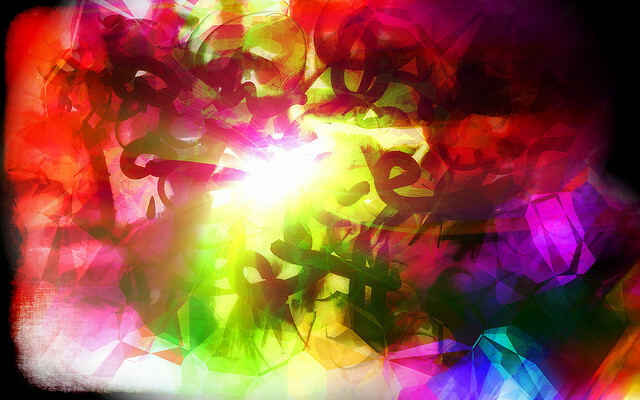 Why do we learn language? Once we have learnt language, what do we use it for? These are all questions I have had to try to answer as a language teacher, and even more so now that I am trying to bring up a bilingual son. In order to be a language teacher you need to know a t least a bit about the nature of what you are teaching. In order to be parent who speaks the minority language at home you are obviously going to encounter many language situations on a daily basis. Of course, if that doesn’t work the first time, you can also revert to crying to get what you want. For a long time this seemed to make a lot of sense. W edo use language to communicate with others in order to manipulate our surroundings to get what we want. And if we didn’t have to do this then we might not bother to learn how to use language in the first place. Then I read a book that totally changed my beliefs about language. We use language for far more than just communicating our needs. 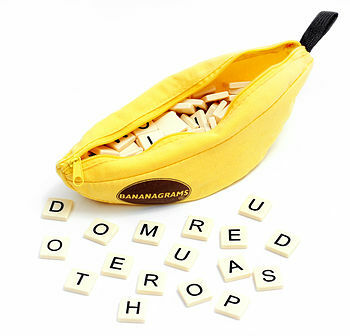 We also play with language. 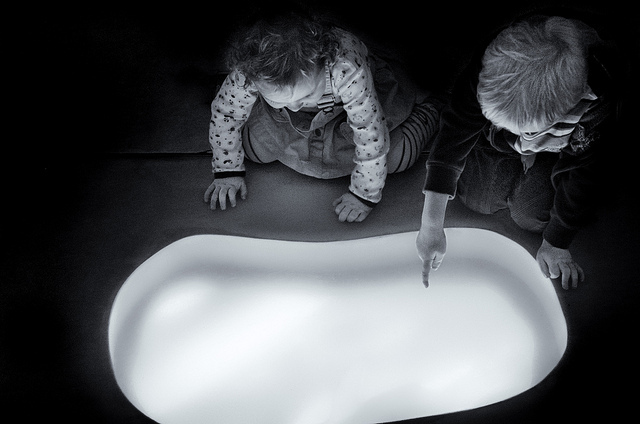 In fact, if we take ‘play’ to mean creating something unreal with language, then we might ‘play’ more often than we don’t. The book was called ‘Language Play, Language Learning‘ by Guy Cook. Word games, songs, poems are all examples ot language play. But so are fiction and prayers, crosswords and skipping songs, verbal jousting and punning. 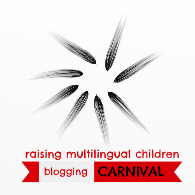 So, for the upcoming blogging carnival for Raising Multilingual Children I would like to hear about the language play activities that you use in a bilingual context. It can be anything at all, not necessarily with an aim to learn language, but to have fun using and manipulating language. It could be something you enjoy doing yourself, something your kids like doing or an activity that you do as a family. Just send me a link with a blog post you have written about playing with your language before midnight GMT of Sunday 24th August and I’ll include it in the carnival. It could be something you have written especially for the carnival, or something you wrote ages ago. If you would like more information about what this carnival is all about, please go to The Piri-Piri Lexicon who organises it all.